The Florida Gators open their 2014 practices to the public for the first of 8 open practices before the start of the 2014 season. The Florida Gators open up practice to the public in their first of 8 open practices before the start of the 2014 season. 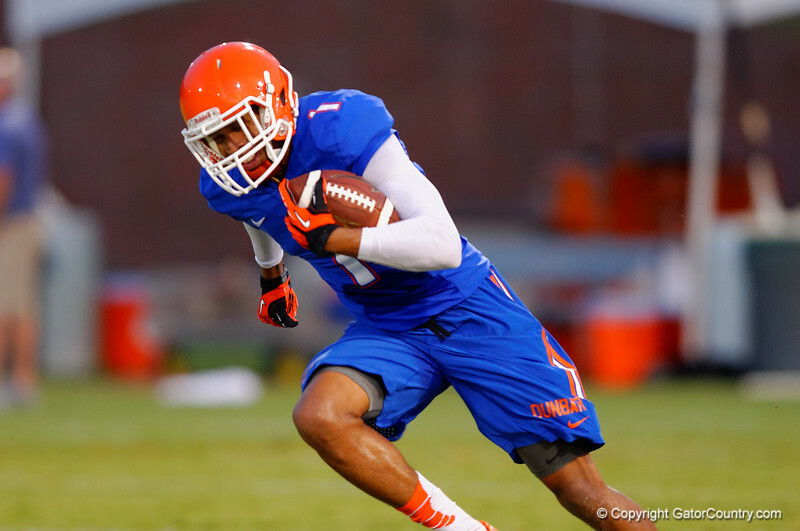 Florida Gator WR Quinton Dunbar sprints upfield after making the grab during a practice drill. August 7th, 2014. Gator Country photo by David Bowie.